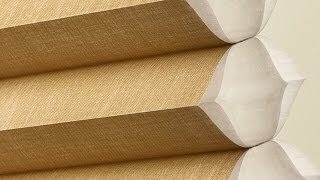 Learn about Hunter Douglas window treatments at Valley Carpet One Floor & Home in Duncan. Quality window treatments can be hard to find, but at Valley Carpet One Floor & Home, we take the guesswork out. 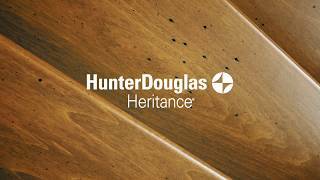 We are your local, certified Hunter Douglas dealer. Our experts can help you find the right style that meets your needs and style. Whether you are looking to add window treatments for your home or update old treatments, our team is here to make recommendations, give design advice, and install the products of your choice. Hunter Douglas has remained an industry leader in window treatment products since 1946. Their window treatments have helped consumers make their homes more energy efficient, protect floors and furniture from harmful UV rays, and provide light and privacy control. Their focus is on providing products that implement the most up-to-date technology, are easy to use, and reflect revolutionary style. 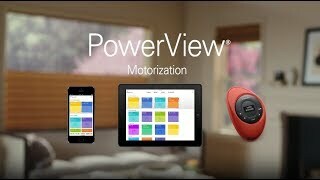 Hunter Douglas offers window treatments for everyone because they know privacy varies by home. With a vast selection of fabrics to choose from, light control is simple. Sheer, room darkening and opaque materials are available, and innovative engineering allows for translucent fabrics to disperse and diffuse light to your liking. Hunter Douglas also offers several sizes and shapes of window treatments to cover standard windows, floor to ceiling windows, and even sliding glass doors. Hunter Douglas is always looking to innovate, which is why they offer so many proprietary products. Many designs are energy efficient, can be controlled with a cell phone, and are even kid-friendly. Ask the experts at Valley Carpet One Floor & Home in Duncan about how you can improve your home with Hunter Douglas. Blinds also control the amount of light allowed in a room. Blinds assist in making your home more energy efficient by regulating the amount of hot or cool air around your window. That means you can keep your home cool in the summer and warm in the winter. We offer vertical blinds, wood blinds and metal options as well. Shades have the ability to diffuse harsh sunlight into a soft glow. Shades are made from sheer or opaque fabrics that filter sunlight and can help you control how much light you allow into your room. 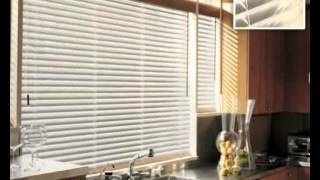 Hunter Douglas shade options include Roman shades and Honeycomb shades. Give your home the ultimate privacy with shutters. Shutters add an aesthetic country cottage feel to your home. Shutters come in different material options such as wood, poly satin compounds, and a combination of wood and synthetic materials to bring you ultra-durable window treatment solutions.